My Free Circus – Open your very own Circus! It's finally here! Now you can slip into the role of a ringmaster in the browser game My Free Circus. Create your own sprawling circus grounds with snack booths and all, keep exotic animals and hire impressive performers. Attract as many visitors as possible and entertain them with breathtaking performances in this incredible circus game. Earn money, expand your property and unlock all sorts of fantastic features as you progress. 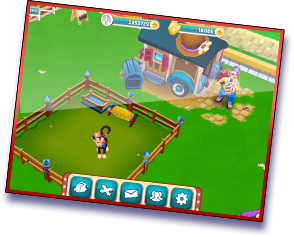 The popular circus game app My Free Circus is now finally available as a browser game. Play right at your computer, without any downloads or installation. My Free Circus doesn't even require a Flash or a Unity plug-in. Register now in our Portal at upjers.com. If you already have an account, just log in and add the circus game to your upjers account. Your career as a ringmaster starts today! What a spectacle! News of your incredible circus show has spread like wildfire. Visitors are lining up in droves to see your magnificent circus tent and the even more magnificent shows it has to offer. Before the show starts, there's plenty to see around the circus as well. Men, women, children, young and old alike stroll among the snack bars and candy shops enjoying culinary delicacies and sweet treats before enjoying a sensational show like nothing they've ever seen before. As the ringmaster, it's your job to prepare the shows and make sure the animals and performers are up to snuff. Experience the thrill of running your own circus operation in the tantalizing browser game My Free Circus. Register for free now and dive into the colorful world of circus games and watch the circus grounds come alive with clowns, fire eaters, high wire artists and many other breathtaking performers. This extraordinary browser game's spectacular circus game setting is a dazzling twist on conventional tycoon games. 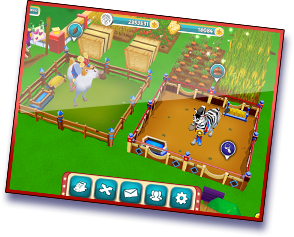 In My Free Circus, you'll be in charge of building and managing your very own circus grounds – from supplying the big top and the vendor stalls to selecting the exotic animals and daring performers who will put on the most amazing shows your audiences have ever seen. You'll organize the shows, provide for your virtual staff with delicious meals and delightful drinks, entertain visitors with baking stands and candy shops, sow and reap your own fresh produce for your home-cooked delicacies, train and level your animals and artists and much, much more. 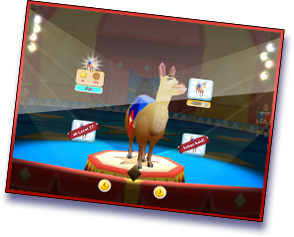 Circus game features abound in My Free Circus and each level up unlocks exciting new challenges and valuable rewards. My Free Circus can be played as a mobile app or as a browser game. The silence in the circus tent is electrifying. Full of suspense, the audience focuses on the tight rope walker balancing precariously on one leg up in the lofty heights. The rope starts swinging dangerously. The slender tight rope walker dramatically sways from side to side, and the audience fears for the worst, but then she suddenly crouches down and launches herself into the air. For a split second, it is as if she's hanging froze in the air... then she lands on the rope again, balancing on her tippy toes. The crowd erupts in explosive clapping. In the browser game My Free Circus you set the stage for breathtaking shows like this and more. Hire performers, keep animals, and plan your shows. 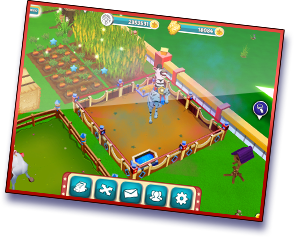 Become a successful ringmaster and discover countless novel features as you progress through the game that allow you to expand your circus and attract hordes of visitors.